The Affordable Care Act, sometimes called the "ACA,” or “ObamaCare,” has an Employer Mandate component that can trigger steep penalties if your company is not in compliance. As a Sage Payroll v7.2 and/or HRMS customer, you have the tools to ensure compliance at no additional charge. This post examines the employer mandate and the differences between using the My Workforce Analyzer tool in Sage 300 and Sage HRMS. ‘Large Employers’ MUST provide full-time workers with affordable health care coverage OR they will face penalties up to $3,000 per employee for non-compliance. In 2016, a ‘Large Employer’ will be defined as having 50 or more full-time or full-time equivalent employees. In 2016, ‘Large Employers’ must offer coverage to 95% of full-time or full-time equivalent employees. Is your business ready? 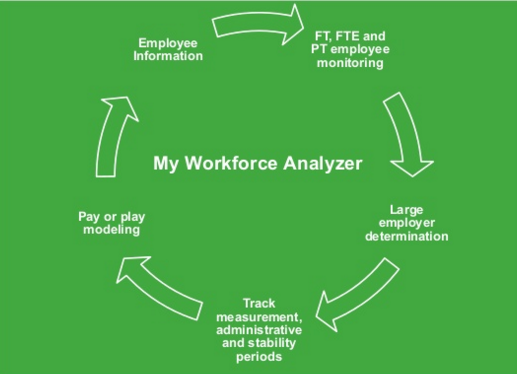 My Workforce Analyzer for Sage 300 and My Workforce Analyzer for Sage HRMS - What’s the difference? My Workforce Analyzer for Sage 300 delivers the same functionality as the HRMS counterpart, allowing for tracking and analysis of payroll data to make more informed decisions regarding employee health care. The key difference lies in determining hours of service for salaried employees and assignment of employee types. A salaried employee can be defined as an employee whose gross pay is not dependent upon the number of hours worked in a pay period. HRMS uses Job Codes/Titles to flag salaried employees and assigns 40 hours of service per week by default. During the Payroll Synchronization process, MWA will use these default hours for the job titles that indicate a salaried position. 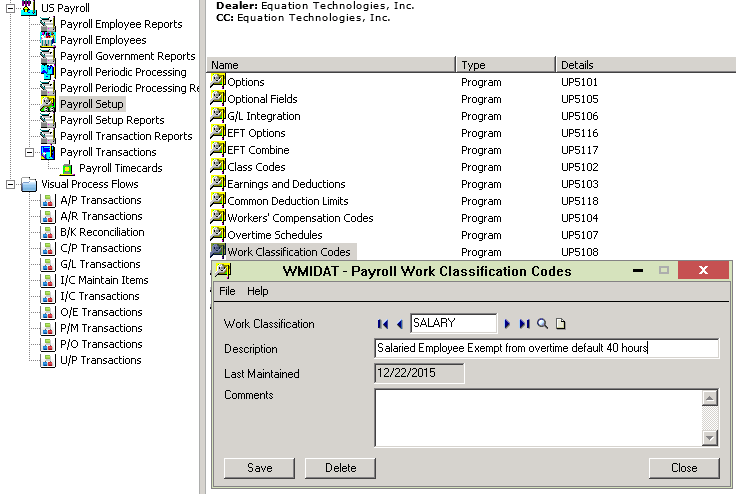 In contrast, Sage 300 has the option to use several fields including Employee Position, Work Classification Codes or Class Codes to flag salaried employees. Sage 300 will assign 40 hours of service per week to these salaried employees based on the field selected in the MWA setup and will use hours entered in payroll for hourly employees to determine hours of service. Sage 300 has the option to use the employee Position, Work Classification Codes or Class Codes to flag salaried employees for which hours are not tracked and assigns 40 hours of service by default. By default MWA will use the hours entered in payroll. The ACA recognizes four different employee types: Full Time (FT), Part Time (PT), Seasonal and Excluded from ACA Assessments. 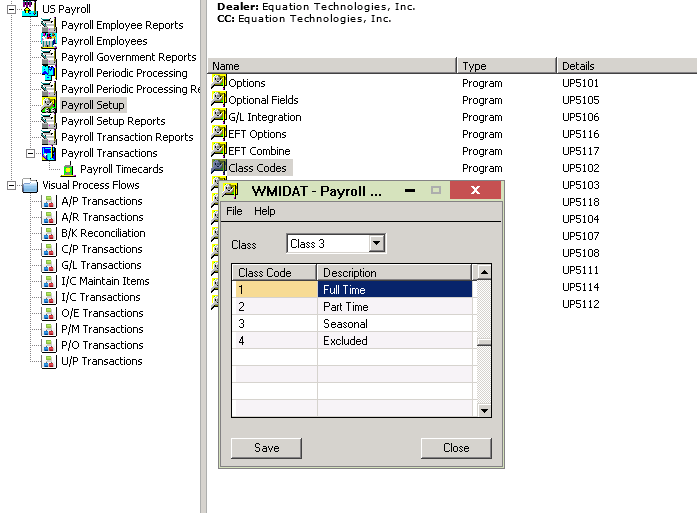 In Sage HRMS, Employee Type Codes are used to designate employees as one of the four types. Sage 300 provides the option to either use Work Classification Codes or Class Codes to designate employees as FT, PT, Seasonal or Excluded from ACA assessments. By default, MWA will designate all employees as FT. 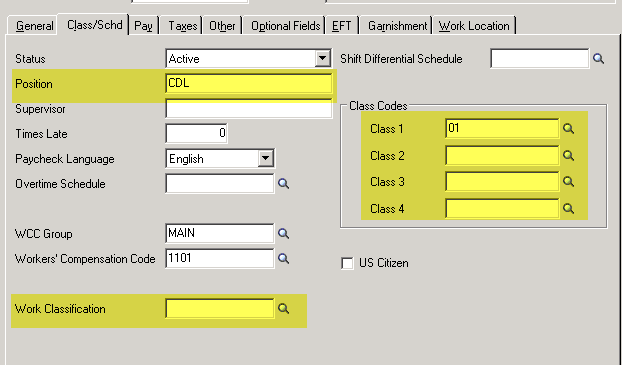 In Sage 300, Class Codes and Work Classification Codes can be used interchangeably to specify hours of service for salaried employees or to define Full Time and Part Time status for employee types. Users will want to take into consideration their existing usage of Class codes when deciding how to specify hours of service for salaried employees or defining status for employee types. In addition, users will want to note the length of the Description field which has a length of 20 characters for Class Codes and 56 characters for Work Classification Codes. Work Classification Codes allow for additional text in the Comments field. Contact us if you have questions about Sage HRMS or My Workforce Analyzer.